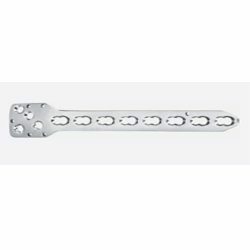 Prominent & Leading Exporter from Mumbai, we offer semi - tubular plate 4.5 mm, t plate 5mm with locking system, cervi- link plate (orion type), y reconstruction plate, small dc plate 4mm with locking system and broad dc plate 5mm with locking system. Fixation with 4.5mm cortical screws. 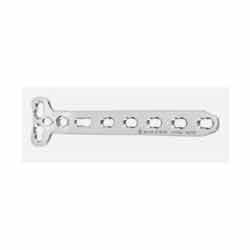 A compression effect can be achieved by eccebtric positioning of the screws remote from the fracture line. 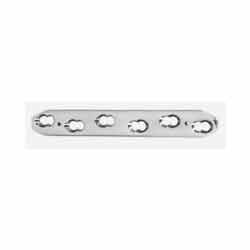 Being one of the prominent suppliers and exporters of the industry, we are involved in offering a wide range of T Plate 5mm with Locking System. 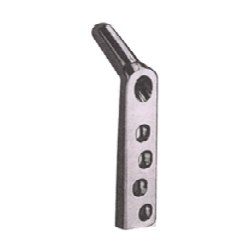 Our range is available in standards as per the client’s requirement at reasonable price. These are procured from trusted vendors in the market and acknowledged for the high accuracy result, long service life and easy maintenance. 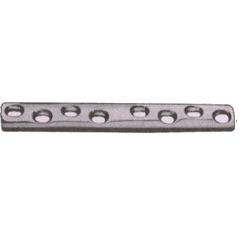 We are among the trusted organization which manufacture, supply and export best range of Cervi-link Plate( Orion Type). 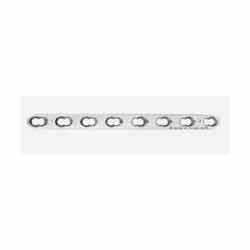 These cervi-link plates are made from finest quality materials using latest technology. 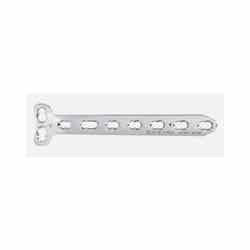 Our cervi-link plates are tested under various parameters to ensure excellent functionality and safety of usage. 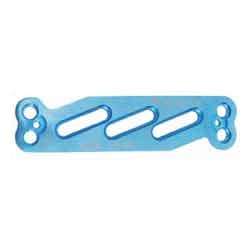 These cervi-link plates are extensively used for orthopedic fixation used in various medical procedures. 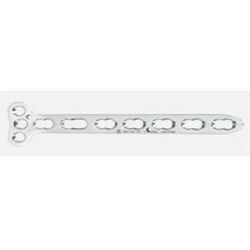 We provide these cervi-link plates in various sizes at very economical range of prices. We are reckoned as one of the top manufacturer and exporter of Storage Rack. 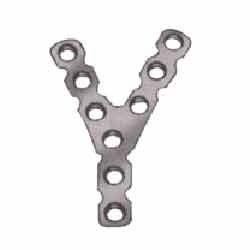 These are made from good quality raw materials and are highly appreciated for its features like durability, accuracy, and tensile strength. The expert team of our company ensures their accordance with the international quality. Clients can avail from us these in various customized specifications. 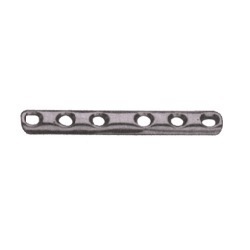 Fixation with 4.5 & 6.5 mm screws shaft with DCP dynamic compression holes and slot for tension device. Left angled for right leg and right angled for left leg. 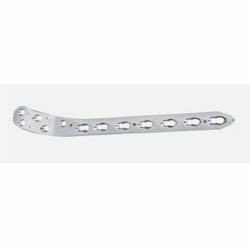 With DCP dynamic compression hole & Round holes and slot for tension device. Fixation with 4.5 mm cortical screws. 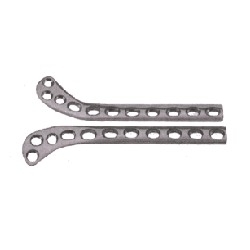 For pertrochanteric and intertrochanteric fractures. 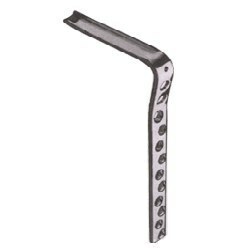 Shaft with round profile, for humeral and tibial head. Fixation with 4.5 & 6.5 mm screws. With double bend, as buttress for tibial and humeral head fractures. Left angled for right leg & right angled for left leg. 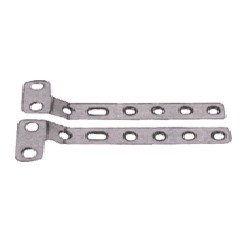 With DCP dynamic compression holes and slot for tension device. 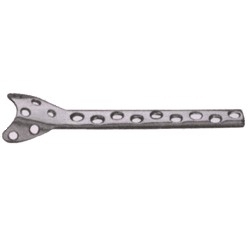 As buttress for the femoral condylar with multiple fragment fractures. 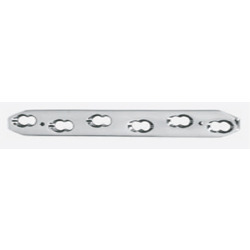 Our passion for offering a wide spectrum of premium quality Orthopedic Plates has enabled us to offer Broad DC Plate 5mm With Locking System that is extensively used in orthopedic surgeries by leading surgeons and eminent hospitals. 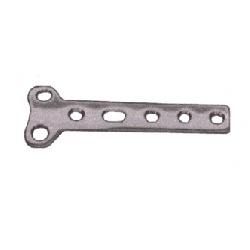 We manufacture these by using medical grades of metal alloys such as stainless steel and titanium. Our stringent norms of quality e=that are in conformation with international standards ensure flawlessness of the end product. 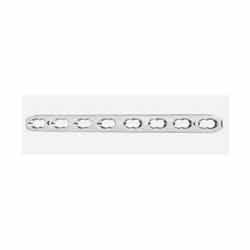 These are made by using high end technologies and are dimensionally accurate. 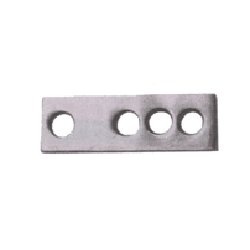 We offer this range in different specifications of number of holes at very reasonable rates to our customers. For the left and right radius. Fixation with 3.5 & 4.0mm screws. Head with three holes. 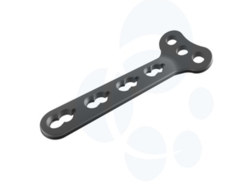 Our reputation as one of the most established manufacturers, suppliers, and exporters of a huge array of Orthopedic Plates has enabled us to present Small Plate 4mm With Locking System (Right & Left). These are made by using cutting edge technologies and are accurate in dimensions. We have sophisticated manufacturing facilities that are well equipped with modern machines. We use the finest grades of raw materials such as stainless steel as well as titanium to manufacture these under severe norms of quality by conforming with global standards. 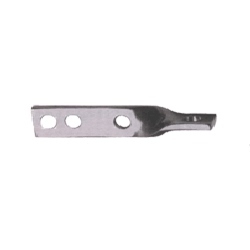 These are available in various specifications of number of holes and thickness. Our esteemed customers can avail these at very attractive rates. 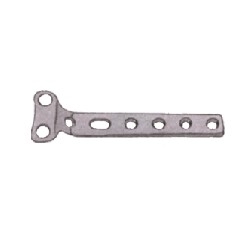 As a tension band plate on the femur and for humeral pseudoarthrosis use broad plates with six or seven holes in exceptional cases only, e. g. on the humerus. Fixation with 4.5 and 6.5 mm screws . All holes are designed as self - compressing holes. 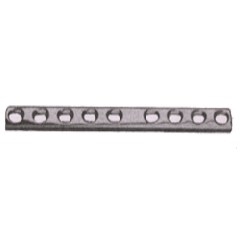 All the end holes are designed for cancellous screws. 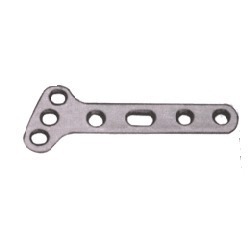 As a neutralization and tension band plate on the tibia.